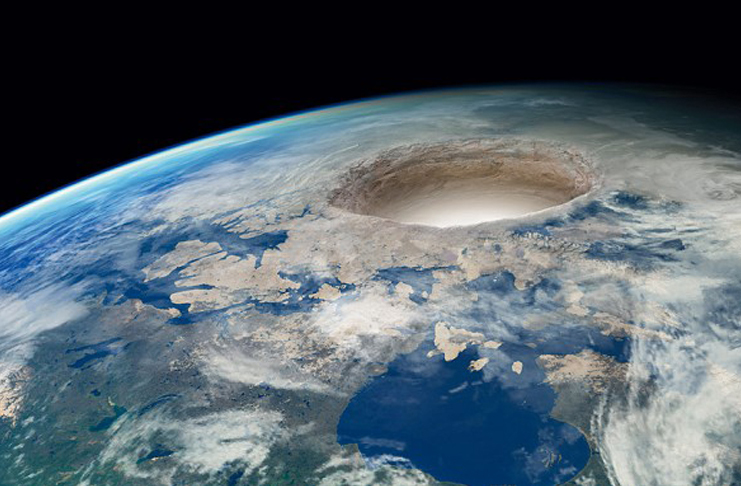 On this Podcast we set out to explore the mercurial mystery of the Hollow Earth. The tantalizing theory that the core of our home planet houses a cavernous realm existing right under our feet. A savage land of prehistoric plants and animals, and maybe even a hyper advanced civilization of extra or primary terrestrials. Every religion and culture of human kind has had tales of other world’s existing within the planet. From ancient Nordic, Celtic, Greek, Egyptian and Mesopotamian lore. To the religious ideas of Purgatory and Hell. And the Epic of Gilgamesh to the Tibetan Buddhist tales of Agartha, the network of tunnels that lead down to Shambhala. The fables of legendary voyages to the underworld and back are ingrained deep in the cultural consciousness. The modern fascination with the theory begins with the science fiction literary boom of the early 1800’s. Inspired by the staunch beliefs of Sir Edmund Halley (he of the comet) that within our world were 3 concentric crusts each housing life. By the turn of the 20th century the works of authors like Edgar Allen Poe, Jules Verne and Edgar Rice Burroughs had created a template for the now well used tropes of inner Earth stories. Verne’s “Journey to the Center of the Earth” getting no fewer than 12 film and television remakes. But the modern conspiracy theories center on the the race to the poles, said to be huge atmospheric passageways to the inner Earth. The Nazi party set up the outpost of Neuscwabenland in Antarctica and rumors have swirled that occult obsessed Hitler, Himmler and Hess plotted to use it as a colonization of the Hollow Earth. and extension of the secretive and ominous Vril society. After World War 2 the massive US military Operation Highjump then furthered the mystery with it’s unprecedented and secretive expedition to the South Pole, one of over 30 major international expeditions that soon followed. We’ll go into the science of the vast Hollow Earth theory from seismology, geology, chemistry and physics. The testimonies of those said to have been contacted by the civilizations of Hollow Earth, And the theories of a vast global cover-up, with help from governments, space agencies, scientists and even Google Earth. Accounts from people like Dallas Thompson, Rodney Cluff, Steve Currey and Dr.Brooks Agnew who all met resistance, disappearance or death in their search for the hollow Earth. And we’ll analyze the witness reports of people like Rear Admiral Richard Byrd, U-boat man Karl Unger and scientist Ernst Muldashev who all claim to have visited deep within the Earth. All this and some Native Americans, Kentucky Caves, cult leaders, Nazi flying saucers and even St. Patrick himself as we take the trip to the world within our own. Didn’t hear about this one before.